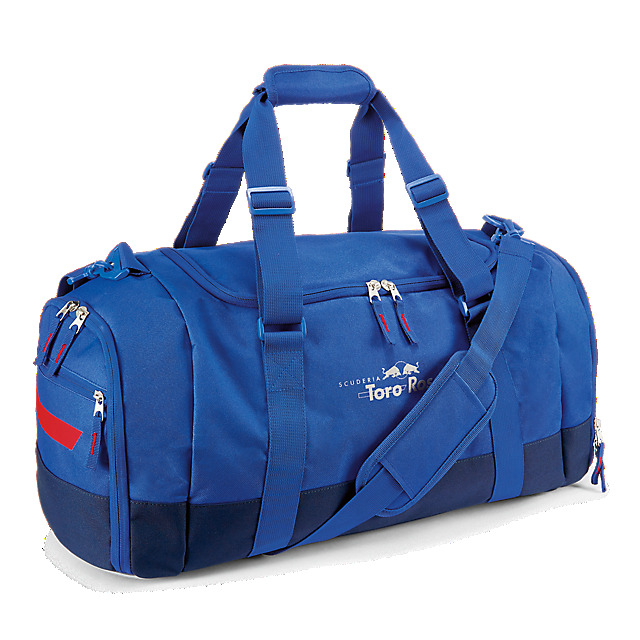 Carry your kit in style with the Scuderia Toro Rosso Reflex Sports Bag. 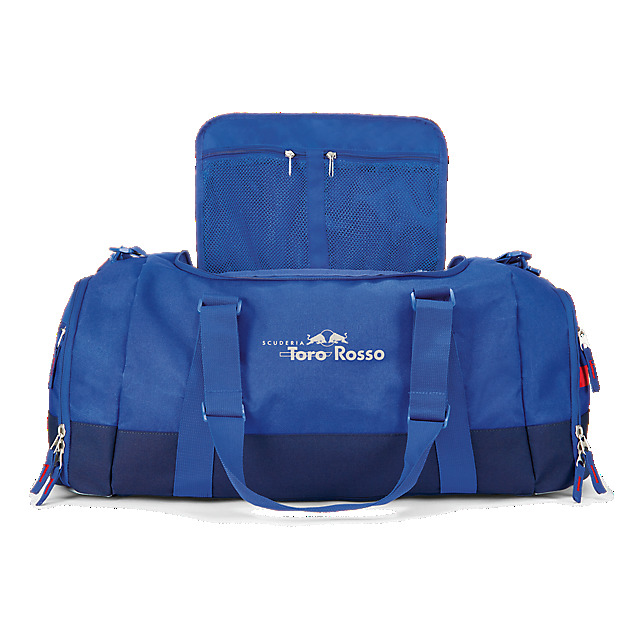 Designed in reflex blue and navy with stripes in red, it has a silver embroidered Scuderia Toro Rosso logo on the front and a zipped main compartment, together with zipped side pockets. 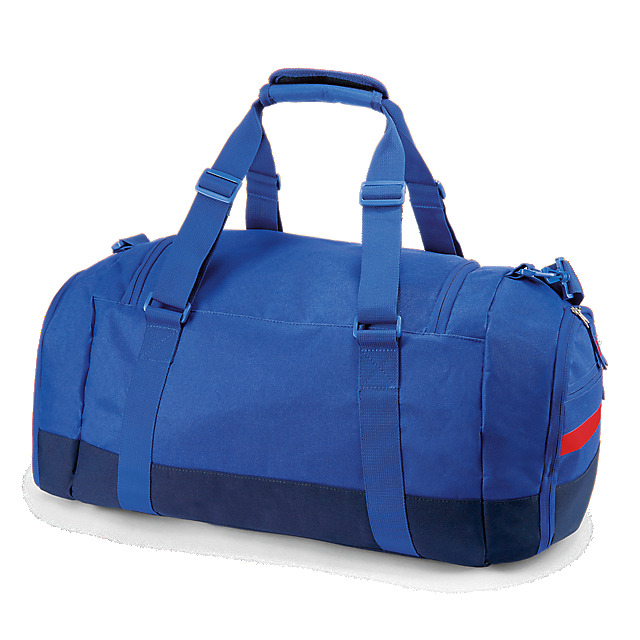 Adjustable straps with a Velcro fastening and a detachable shoulder strap make it both practical and comfortable to wear.